No, I did not forget about prizes for Behind the Curtain. I have been stirring the cauldron in order for the best and most exciting prizes to float to the top. And, oh! What a range of prizes I have for this lovely contest. I’m not sure who will be the luckiest – all the packages are amazing! 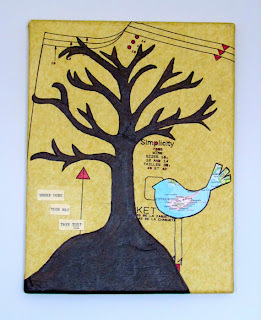 Talented mixed media artist Angie Richmond (Twitter: @write_me_happy ; Etsy Store: Angie Richmond Designs) has donated an original canvas to the winner of this package (value: $50). This 8″ x 10″ original mixed media work on canvas will feature one of Angie’s signature ‘dark trees’ and a quote from the winning work. With all of these entries celebrating the dark secrets behind the curtains of the arts, we cannot forgot music. 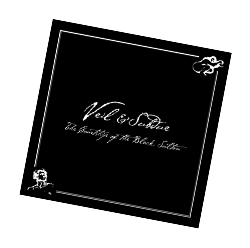 The winner of the Dark Veil Package will receive their own copy of the haunting gothic rock opera, Veil & Subdue. Veil & Subdue is the creation of Paul Ramey (Twitter: @paulramey) and Anna Meade. For a sample, click below. It Might Tonight – Music and Lyrics by Paul Ramey, vocals by Anna Meade and Paul Ramey. 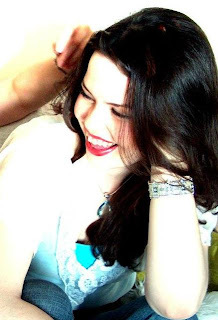 Just Like Freedom – Music and lyrics by Paul Ramey, Vocals by Anna Meade. In addition, the winner will receive a beautiful copy of the opera’s libretto, signed by Paul Ramey and Anna Meade. 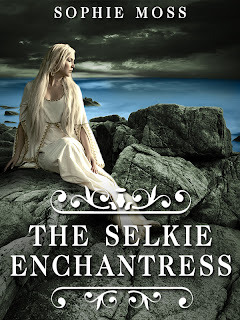 For those who are not familiar with Sophie Moss (@smosswrites on Twitter), she is the authoress of the dark paranormal romance series Selkie Island Trilogy: The Selkie Spell, The Selkie Enchantress and the soon-to-be released The Selkie Sorceress. 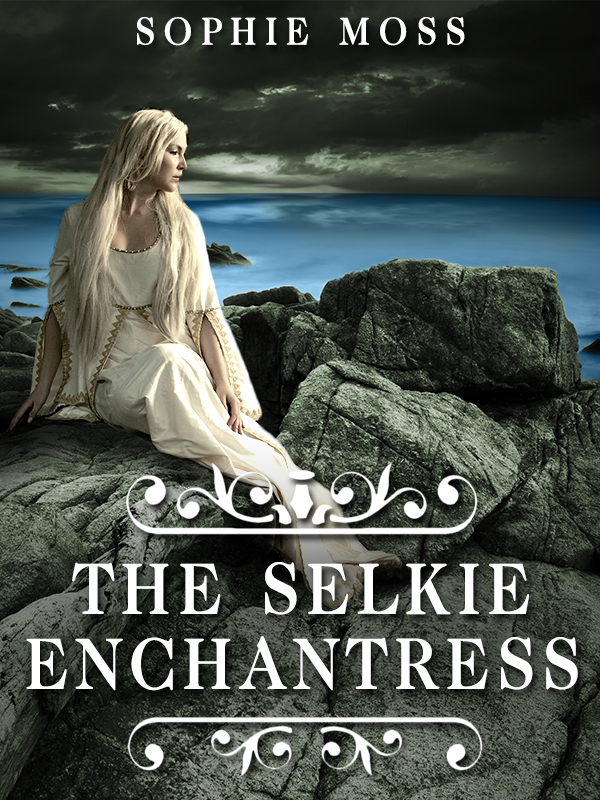 Sophie has a huge buzz going on Twitter and a devoted following, but was kind enough to donate a digital copy of her newest book, The Selkie Enchantress, to the Behind the Curtain contest. It’s a perfect fit, for nothing is as it seems on Selkie Island and Sophie’s deft twists and turns will definitely leave you yearning for the third book. Sophie’s work and words were recently featured on the USA Today website – she is one to watch! Oh, this is what you’ve all been waiting for, THE ULTIMATE GRAND PRIZE PACKAGE for the winner of the Behind the Curtain Contest! First, you too will get a copy of Veil & Subdue. But that is just the beginning of the Dark Fairy’s gifts bestowed upon you. 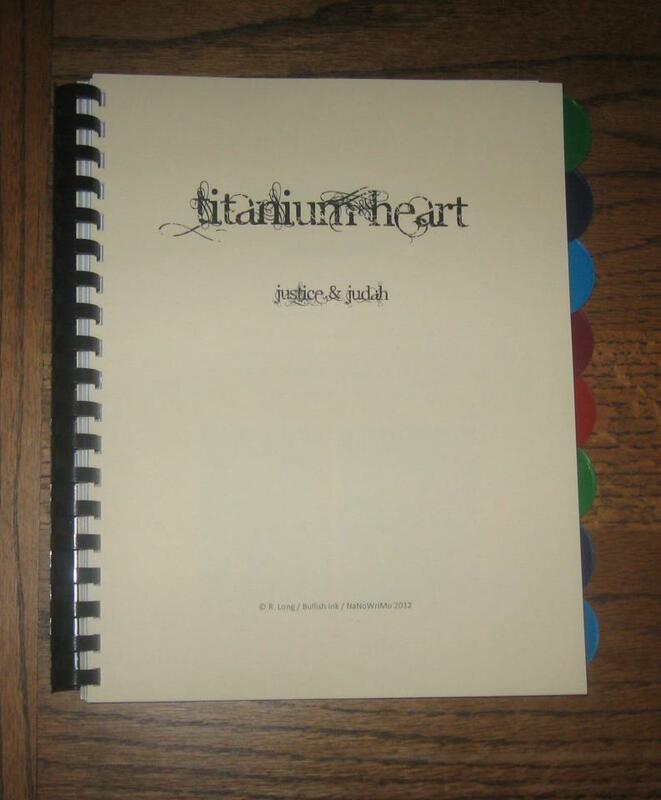 Next, you will receive a magnificent writing notebook by our own Writing Organizational Guru, Ruth Long aka @bullishink. Ruth puts us all to shame with her organizational mastery. This notebook can be used for NaNoWriMo or your Work in Progress and comes with a wealth of writing tips. Hordes of authors have begged for these notebooks AND I SECURED ONE FOR OUR WINNAR. HAHAHAHAH! Because your story was the finest of 61 entries, the Dark Fairy will offer things that NO ONE ELSE HAS EVER RECEIVED. Allow me to repeat that. NO ONE ELSE HAS EVER RECEIVED THESE PRIZES. Excited yet? You ought to be. Winning author, rejoice! Dark Fairy promotions ahead! 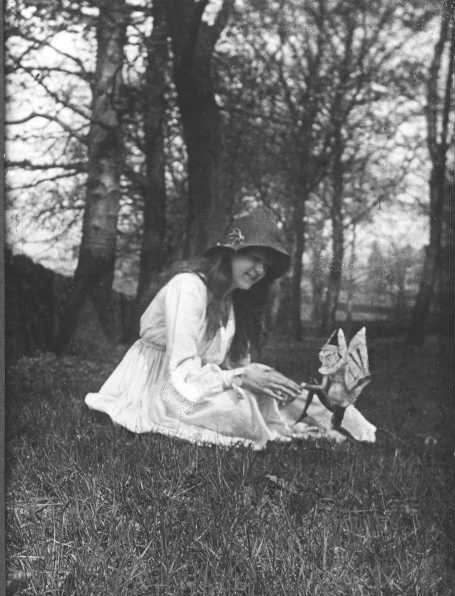 * The winning author will be featured on Yearning for Wonderland in an in-depth interview by the Fairy Queen herself. 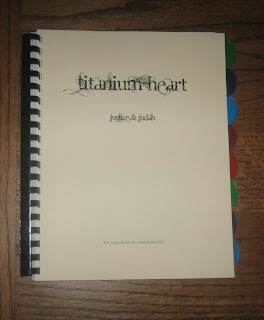 This interview will highlight your book, blog, or any other artistic project of your choosing. Anna will then promote this interview heavily on Twitter/Facebook and G+. *The winning author’s story will be recorded by Anna. No, you did not read that wrong. Anna has a home recording studio and will do a creative/theatrical recording of your Behind the Curtain entry. 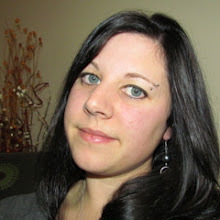 * The winner author will be Anna’s partner in her next flash fiction contest (in Spring 2013). The winner will be heavily involved in this contest and will have input on the theme, promotions, format, prizes, etc. Who wouldn’t want to dance with the dark fairy? Now that I have whet your appetites, please don’t turn on each other. Writer-on-writer murder will cause your entry to be disqualified. Maiming, on the other hand…. I am a little slow to catch up on my kind mentions and awards, but this one is too cute to pass up. I was not only nominated for the award by the creator, the awesome Donna B. McNicol (@donnabmcnicol), but also the ever kind Steven P. Watson (@ashviper). Thanks to you both for remembering me! Link back to the one(s) who gave you the award. Tell us what you do to take time for YOU! That might be a hobby, a musical break, a favorite movie or show, sitting outside enjoying nature, or even taking a nap! Nominate five other bloggers – especially folks you think deserve a break from their routine. Taking time for me is one of the things with which I struggle. I am so busy promoting contests and the artistic output of myself and others that I have to force myself to slow down. Many of my friends have heard me mumble, “…Sleep when I’m dead.” My bloodshot eyes at that moment may have foretold the zombie apocalypse. Lately, to relax I have been arranging my new library, filling my desk drawers and dusting bookshelves and categorizing books. It may sound vexing, but it is my happy time. I also love playing piano barefoot and have newly discovered the meditative joys of potting flowers (ha, please ignore my black thumb). Now I have to figure out 5 bloggers who need a break from their routine. 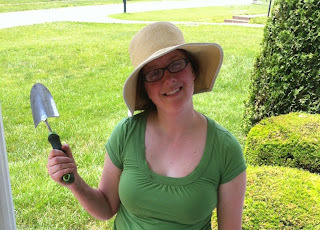 I know so many deserving bloggers, but here are my five who work harder (or crazier) than most! 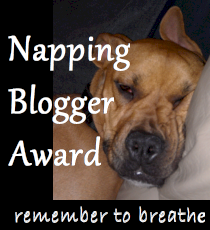 Give yourself a break and enjoy your new Napping Blogger Award! Sorry, I’m not here at my blog, I’m over at the artistic and charming blog of Angie Richmond, also known as @write_me_happy. Despite my despairingly long To Do list, I blew it all off and wrote a guest post for Angie about my lifelong love of fairies and how they speak to me. Priorities, after all! I am catching up today on the kind mentions and nominations from my writing cohorts. Not to go on and on about Angie Richmond, but she also nominated me for a blogging award, the Kreativ Blogger award, as did the lovely Rachel Stanley (@2caHummingbird on Twitter) and Steven Watson (@ashviper on Twitter). You guys rock my stripey kneesocks, thank you! There are a small number of songs that elicit an immediate and emotional reaction when I listen to them and they are almost all on my blog playlist. The one I would add if I took the time is “Your Song” by Elton John. I’m partial to Oreo blizzards, but I really shouldn’t be eating any desserts…oh, if you insist! Deliberate cruelty. Relentless negativity. Bigotry of any flavor. Any combination of the above. Take a bath. Something about sitting in water that is nuclear-hot calms me down. My black and white shorthair cat, Ramses. He thinks he is a reincarnated Pharoah. Also, I have a slug named Hubert thanks to @cameronlawton, a tiny Pegasus colt named Horatio thanks to @afsaneh_dreams and a cigar-smoking, foul-mouthed fairy named Oscar. As seen above, black AND white both exist for a reason. That said, I have far more black clothes than white. Obscurity and anonymity. Appropriates fears for an actor/writer. Also, illness and suffering of those nearest and dearest. Sunny side up. Like all artistic people, I do periodically suffer from sadness and self-doubt…but life is really too full of beauty to go around feeling sorry for yourself for too long. Something worth striving for, but not worth despairing over. I can’t believe I am saying this online, but I actually secretly watch America’s Next Top Model. 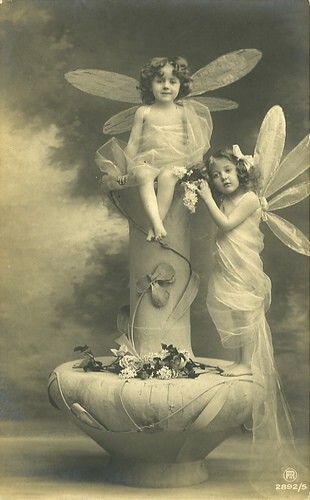 The girls are so silly and clueless, but I LOVE the elaborate photo shoots. It’s really rather embarrassing. I am secretly shy. Anyone who knows me on Twitter would scoff, but it’s true. I randomly break out into song. I blame a childhood full of musical theatre. I almost never watch television. Exceptions include Game of Thrones and Downton Abbey. Authors who influence me include J.R.R. 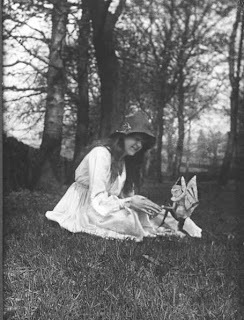 Tolkien, Lewis Carroll and Agatha Christie. Contemporary inspiration includes Donna Tartt and Tana French. My favorite color is blue. My least favorite color is pink. I used to give ghost tours while living in St. Augustine, which was actually one of the goals I had when moving down there. I think I lost my Luddite status when I acquired my iPhone. I have to read. It’s uncontrollable. I will read cereal boxes and plane tickets and candy bar wrappers. Meg’s blog, From Darcy to Dionysus, is an artsy nerd’s dream, a melange of flash fiction, superheroes, literary analysis and just plain beauty. I adore her and you will too. You can find her at @charitygirlblog on Twitter. #followorperish, y’all.